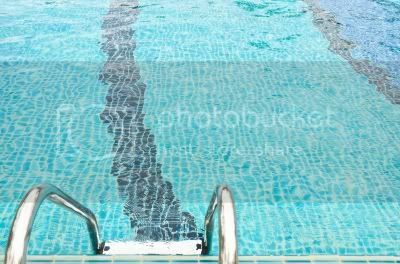 Shocking, also known as “oxidization” or “super chlorinating,” is a chemical process that makes pool water clean and safe by breaking down wastes such as dead skin cells, cosmetics, body oil, sweat, and urine. In this process, the chlorine level is drastically raised for a short period to eliminate the bacteria and organic matter that could inhabit your pool. The pool shock should match your pool’s filter system. If you have a non-chlorinated pool, choose non-chlorinated shockers and if you have a chlorinated pool, go for chlorinated ones. Check out Backyard Ocean for a list of pool shock products you can try. Read the specifications and instructions from the manufacturer. The amount of shocker you need depends on the size of the pool. When you have determined the amount you need to shock your swimming pool, pre-dissolve the grains of the chemical in a bucket of water. Remember to put the chemical into the water and not vice versa. After mixing and agitating the water and shocker for one minute, pour the solution directly in front of a return line fitting while your filtration system is turned on. Pour slowly so that all the shock pool chemicals are distributed to the pool waters by the jet of water from the return line. This keeps the chemicals from reaching the pool floor. Keep your vinyl pool liner away from any un-dissolved pool shock because it may stain or bleach it. The recommended frequency for shocking your pool is at least once a week. The heavier you use the pool and the more frequently it is exposed to rain and sunny weather, the more often you should shock it to keep your family protected from unsafe water.